Easy-to-use, stretchy + reusable fabric gift wrap for saving time + trees. 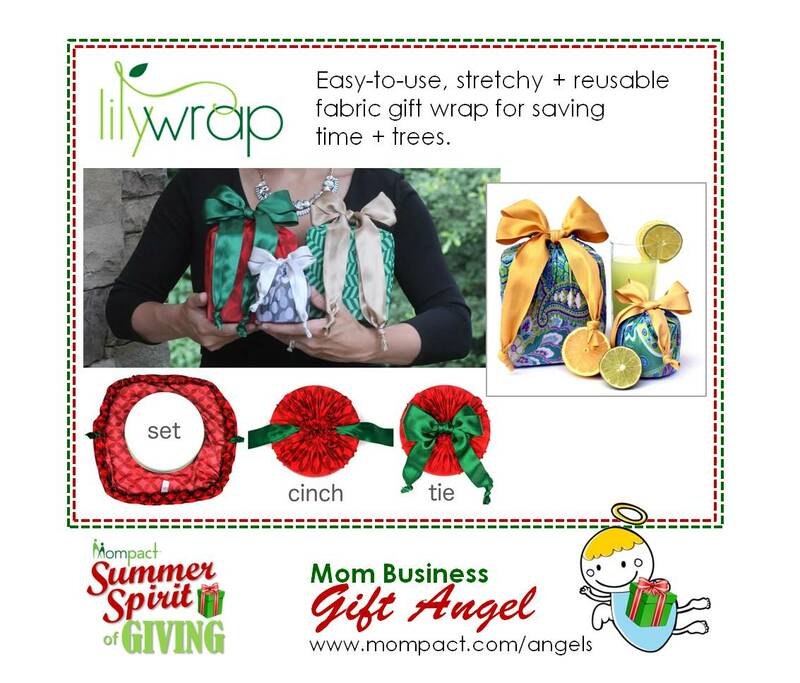 Special: 25% off all Lilywrap gift wraps at www.lilywrap.com with coupon code GIVELILY from August 10-15, 2015. Lilywrap is a holiday must-have – an innovative reusable stretchy gift wrap that offers the chic look of traditional wrapping paper but with the ease-of-use and versatility of a gift bag. It’s the perfect solution to save both time + trees this holiday season. Saves Trees – 4+ million tons of wrapping paper waste is produced during the holidays each year in the US alone. Our reusable stretchy fabric gift wrap with built-in bow offers same look as traditional wrapping paper without the waste. Saves Time – Americans each spend approximately 3 hours wrapping presents during the busy holiday season. Now, easily wrap gifts of virtually any shape, size in just 30-seconds with simple “set, cinch + tie” method. Saves Money – Americans spend $2.6 billion on gift wrap every year. Our durable wraps have been reused as many 50 times without wear and tear and each wrap pays for itself after only a few uses.